Congratulations to the SeaPort-NxG Awardees! The Navy just released the SeaPort-NxG awardee list and has begun the notification process for the 1,870 Prime awardees. Here at Capture2, we’d like to congratulate the winners, and to remind you that you’re not done yet. Use the checklist below as a reminder about the required next steps to complete your award acceptance. 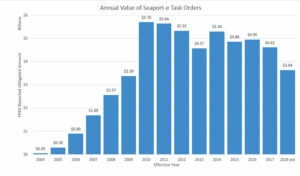 SeaPort-NxG expects to release $5B worth of task orders annually, making this a very lucrative contract. Make sure that you’ve completed all the registration and portal access tasks below to keep up with the task order announcements. Awardees on the current SeaPort-e contract have received awards totaling up to $72,549,456,595 for a single contractor to date. Don’t miss out on a major SeaPort contract award because you missed a step in the registration process! Don’t miss registration because you believe that your SeaPort-e portal access will carry you through! ü Watch your email! All awardees should receive an electronic version of the contract award document by December 21, 2018. If you do not receive your contract by that time, email SEAPORT_EPCO@navy.mil to verify your award status. ü Register for SeaPort Portal Access ASAP The registration period for SeaPort-NxG accounts will be December 4-21, 2018. If you do not register during this time period, your contract may be terminated. Register at https://auction.seaport.navy.mil/registration. ü Be prepared to enter information on yourself and your teammates, including points of contact, CAGE, DUNS, Business Size, and Socio-Economic designations during the registration process. Teaming requests can also be made at this time. ü Understand the CONOPS A SeaPort-NxG Vendor Concept of Operations (CONOPs) will be available after the registration process is complete. This document will provide detailed processes of portal and Task Order solicitation, award, and administration processes. Get to know it and the portal, so you’re prepared to bid on those all-important task orders. ü Access the SeaPort Portal Starting January 2, 2019 This is where you’ll access the task orders available to you with your contract. Your registration must be complete before you can gain access. Happy Hunting! ü Maintain your Account Access Accounts will be deactivated after 30 days without use. You will no longer receive email updates for opportunities if your account is not active. 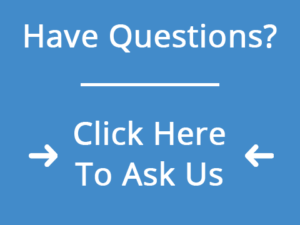 Have a designated administrator who is responsible for maintaining your access. ü Maintain Accurate Sam.gov Registration This will be required for proving size and socio-economic status while bidding on Task Orders. ü Be Prepared to Complete or Document an Audit of your Accounting System Expect an email about this through the portal this month with all the documentation you need. Congratulations on your SeaPort-NxG contract vehicle award! This is the first step to winning more business; make sure to complete all the actions above so that you’re ready to hit the ground running when the task orders are released. Capture2Proposal is a revolutionary business intelligence, capture, and proposal management solution in one secure, collaborative, and customizable platform.